This levee on River Road near Davis Road in West Sacramento will be improved as part of a $170 million project to protect against 200-year floods. 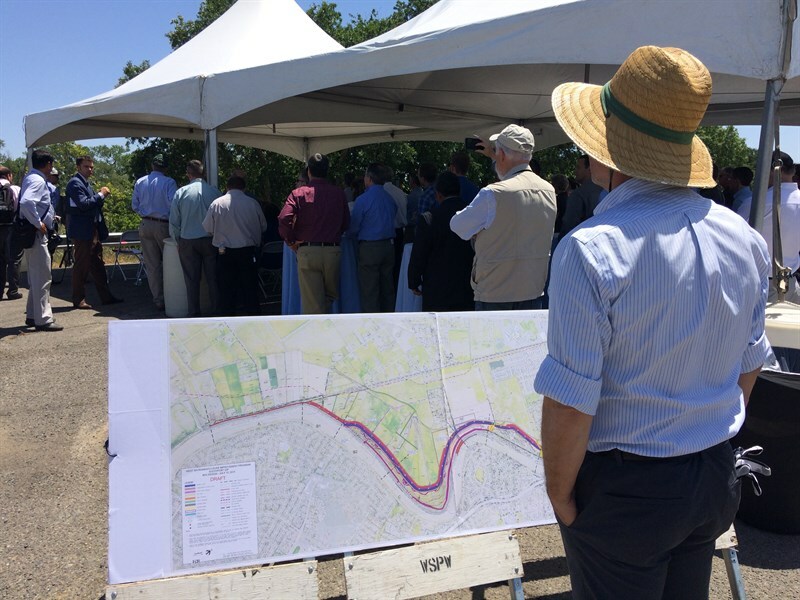 Federal, state and local leaders broke ground Tuesday on the biggest levee project ever undertaken in West Sacramento. 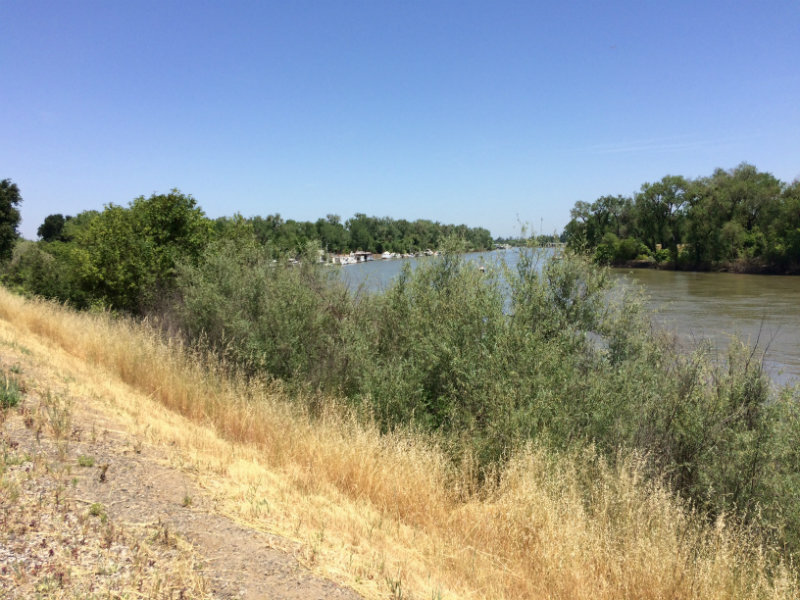 The Southport Levee Improvement Project along the Sacramento River is one of four designed to bring West Sacramento up to the state-mandated 200-year level of flood protection. The $170 million levee will also meet stricter federal standards put in place after Hurricane Katrina. It's designed to improve six miles of the most vulnerable part of the city's levee system. Southport Levee Improvement Project groundbreaking on May 9, 2017. Cabaldon says the levee will also sit further away from the river to provide environmental benefits. "We're building a series of levees inside the levees, to allow for the river to meander a little bit more during flood events and to create additional habitat," says Cabaldon. West Sacramento is slated to receive $1.2 billion in federal funding for flood protection projects. California Congresswoman Doris Matsui says with climate change there is a greater need for improving the levee system. "It's important that we know we're safe, but we need to actually raise the level of flood protection ultimately beyond 200 year," says Matsui. The project will likely take two years to complete.